Presenting to the Standing Committee on Social Policy on behalf of Science Concepts International. “Thank you, Mr Chair. Good morning. 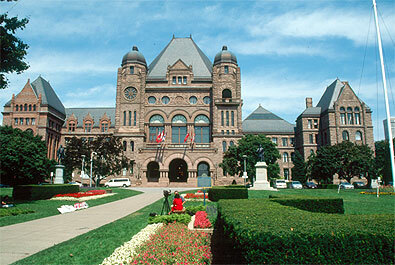 My name is Robert Stasko, and I’m pleased to address this group on the proposed legislation, Bill 100. I’m not here representing any official organization today. However, I am representing a constituency within the energy sector. I’d like to speak on behalf of those agencies and individuals who are committed to the development and application of the next generation of improved energy technologies for the people of Ontario. I’ve been in the electricity sector for over 30 years, both here in Canada and abroad. I have a wide experience in everything from nuclear operations at Pickering to development of advanced solar energy technologies for Ontario Power Technologies. I’ve also been seconded to the Ontario Ministry of Energy on two separate occasions as a senior policy adviser, and as it happens, I’ve served under governments from all three political parties represented here on the committee. However, most of my career has been spent on the development and commercialization of new energy technologies in the electricity sector. I’m an unrepentant techno-geek and have been involved in everything from hot fusion to electricity generated from cow manure.